I would have judged the vertical indoor skydiving Wind Tunnel to max out at far less, but bow to this sign officially setting the legal occupancy limit at 194. 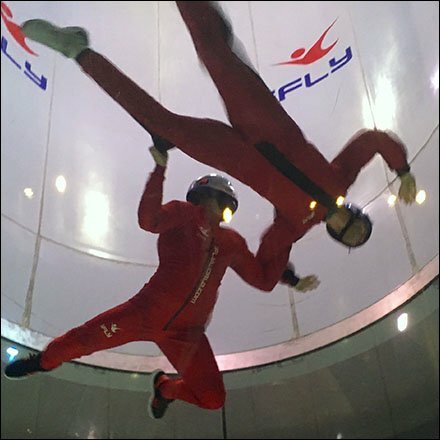 If that is the true limit, you might consider iFly for a bachelor party or other big blowout. A bit small of a venue for most weddings however. Sorry girls. Seen in Entertainment Retail at iFly InDoor Skydiving, King of Prussia.